Dryden, NY (April 15, 2019) – Police have released the identity of the woman who was tragically killed in a four-car crash Friday, April 12th, on State Route 13. 63-year-old Kathleen Downes, of Dryden, was reported to have sadly passed away after being airlifted to a hospital to be treated for serious injuries sustained in the crash. According to authorities, a vehicle traveling north along State Route 13 had been attempting to merge from the right lane into the left when it struck another vehicle and veered over the median into the southbound lane. That vehicle subsequently crashed into two more vehicles, resulting in a four-car collision between Triphammer Road and Warren Road at approximately 2:00 p.m.
Police and emergency crews, including a LifeNet Helicopter, were summoned to the crash site. Downes, who was operating the merging vehicle, was airlifted to Upstate Medical Center, where she passed away a short time later. Authorities also reported several other injuries, which are all believed to be relatively minor at this time. First and foremost, we would like to extend our deepest condolences to the loved ones of Kathleen Downes as they attempt to cope during this tragic time. Furthermore, we offer our kindest sympathies to the other injured parties as we maintain hope for their full and healthy recoveries. 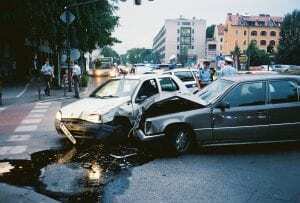 After a car accident in New York, it is important to know that you may have very significant rights moving forward, particularly in the event that you or your loved one is not at fault for the incident. At Hach & Rose, our New York accident attorneys have devoted their careers to those who have unjustly suffered at the hands of reckless drivers and other negligent entities. We understand the immense hindrances that frequently arise in the aftermath of a serious collision, and we are here for you 24/7 to answer any questions you may have. If you have lost a loved one or suffered injuries in a motor vehicle accident in New York, please do not hesitate to call 212-779-0057 today.